NFL Pro Bowl tickets went on sale this Monday and as of today tickets are still available. 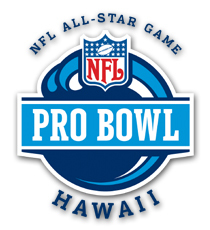 This season’s Pro Bowl, like last season’s, will be played in Hawaii at Aloha Stadium one week before the Super Bowl. This means that players who are selected to the Pro Bowl and are also on Super Bowl teams will be missing out on the Pro Bowl festivities in Hawaii. The NFL made the decision to play the Pro Bowl one week prior to the Super Bowl in attempts to increase viewership for the Pro Bowl. The NFL released the Pro Bowl fan voting leader board yesterday and Philadelphia Eagles QB, Michael Vick, leads the league with 729,838 pro bowl votes. Peyton Manning is in second place in the voting which is a little surprising considering the Colts are 6-6 and Manning is having his worst season since his rookie year. San Diego Charger’s TE Antonio Gates, 9th in the pro bowl voting with 375,666 votes, is the only player in the top ten who is not a quarterback or a running back. You can vote for your favorite NFL players here. Let us know how you feel about Vick and Manning leading the Pro Bowl voting in the comments or on Twitter @SeatGeek.